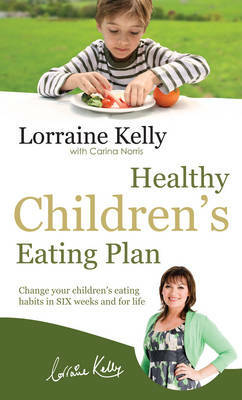 Based around a simple six-week healthy eating plan, including loads of delicious and easy-to-make recipes, Lorraine Kelly's plan will help parents set their children on the road to healthy eating. The plan is flexible and allows children to have a hand in choosing what they eat - everyone knows that children like to rebel if they think they're being forced to eat something! It's full of nutritional advice and information to help parents steer their children away from unhealthy junk food and get them making sensible food choices for life. Co-written with leading nutritionist Carina Norris, this book will address the increasing problem of children's diets and childhood obesity in a practical and approachable way.